Nippon Kayaku Co., LTD. (KAYAKU) and the Japan Aerospace Exploration Agency (JAXA) successfully developed a motor coil that can maintain its maximum power more than two times longer than a conventional model by using thermal conductive heat-resistant insulating material. JAXA has been engaging in research and development of an electric aircraft as one of the most promising aviation technologies for future aircraft. For an electric aircraft to efficiently take off, it is important to maintain maximum power for two to five minutes. However, a conventional motor cannot sustain maximum power for a long time or the coil will burn out due to the temperature increase. Thus the necessary output power is usually secured by using a bigger motor system, limit the operation time and maximum power of the motor, or by introducing a cooling system. 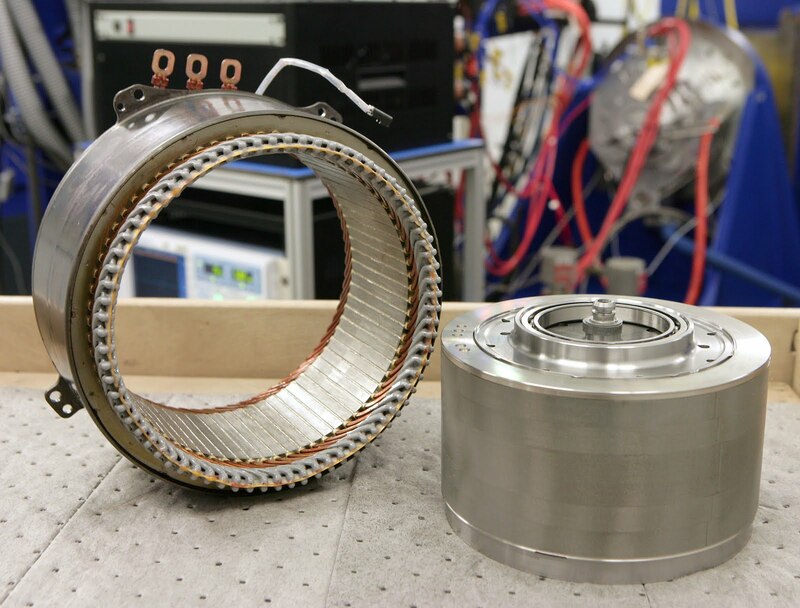 Therefore, in order to realize a smaller high-performance electric aviation motor, JAXA has been seeking a coating for the motor coil that has both insulation properties and strength while promoting thermal conductivity. By using reactive Polyamide resin as a base, KAYAKU has been developing a thermal conductive heat-resistant insulating material that can be used at up to 250 degrees Celsius with high thermal conductivity and strong adhesive properties. In a joint research collaboration KAYAKU applied the thermal conductive heat-resistant insulating material to the electric aviation motor coil, while JAXA tested and evaluated the motor. Consequently, a motor coil capable of doubling the time duration of maximum power with approximately 1% improvement in maximum efficiency compared with a conventional motor.